I feel very strongly that I need to explain to my readers today why we need to store wheat for survival. 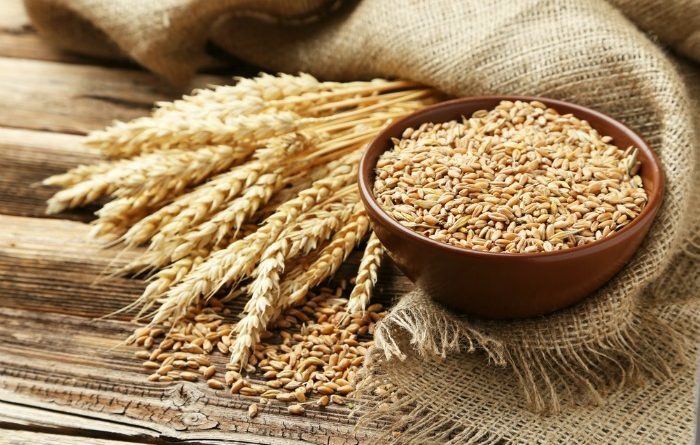 Here’s the deal, wheat is very inexpensive and you can make so many things with wheat, whether you sprout it, grind it or cook it. 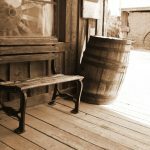 I wrote this several years ago, but I’ve added some very important items today. Of course, it goes up in price when supplies are low, but it seems to always come back down. Thank goodness! My guest room is lined with whole wheat from Lehi Roller Mills in Lehi, Utah. I’m very fussy when I buy wheat because I need to know it’s been cleaned, and I mean cleaned. I replenish my wheat when Costco gets a new shipment from Lehi Roller Mills. I quote from Lehi Roller Mills website: “Our Hard White Storage Wheat differs from our Red Storage Wheat slightly in color and flavor with just a little less protein, but remains excellent for storage. By now you probably know I only buy hard white whole wheat from Lehi Roller Mills (via Costco) in 45-pound buckets, or other hard white wheat in #10 cans from Thrive Live or Honeyville Grain. 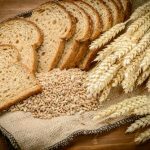 Most people don’t use whole wheat as much as I do, so I recommend they buy one or two buckets or several cases of hard white wheat from Thrive Life or Honeyville Grain in #10 cans to store, but also to try using so they can determine how much long term storage supply they may need in an emergency. If you buy whole wheat make sure it has been cleaned many times. I purchase Gamma Lids (red ones) to replace the lids on the wheat buckets. Yep, I color code my bucket lids: The Gamma Seal Lid, Red. You can store your cases of wheat under beds or in closets. In case you’re wondering if you can make bread in a KitchenAid, yes, even the 6-quart size, you can if you are only making 2 small loaves. I know because I have both machines. My daughter tried making whole wheat bread, just two loaves and it fried the motor. The Bosch Bread Mixer is the best bread machine. I have tried another well-known brand and it can’t keep up with my Bosch. I can add 14-15 cups of whole wheat flour in my Bosch and it easily mixes my bread dough. I have several people in Southern Utah that come to me to get natural yeast starters. When you make whole wheat bread without commercial yeast you may not have stomach issues. You know your body and I don’t, but If you think about it natural yeast uses no actual yeast, only freshly ground wheat and water. I have learned many things from my awesome friend Melissa Richardson who has now written two books on natural yeast. This is her first book: The Art of Baking with Natural Yeast: Bread, Pancakes, Waffles, Cinnamon Rolls and Muffins. You may know her as the Bread Geek. She actually put herself through college making bread. I love that girl. Having helped her a few times teach her class about natural yeast, I would literally stand back in awe as she taught the class. She has now moved back to the midwest, but if you ever have a chance to go to a class or watch her on a YouTube, do it ASAP! It’s my understanding (researched) that in Europe the bakers don’t use commercial yeast and don’t have any gluten issues as we do here, interesting, huh? Back in the 1980’s the people here in the United States were asking for a more perfectly shaped loaf of bread that could be made faster, hence, commercial yeast was developed. Is it the GMO wheat that is giving people gluten-issues? I don’t know, but there are so many fruits and vegetables that are genetically modified. We may never really know. You must do what is right for you and your family. I just know what I have learned from people who have celiac issues. They can eat sourdough bread but not white bread. Sourdough is made with natural yeast. I will leave it to those who have gluten issues to do their own research, but also try some natural yeast as a test to see if it makes a difference. I still use SAF instant yeast with my whole wheat bread. I’m an old dog that won’t change. Whenever someone tries making my no-fail whole wheat bread recipe, they realize how easy it is to make. Most Europeans eat bread with every meal. They make these beautiful hard crusted loaves of bread with zero commercial yeast. Read More of My Articles Have You Heard About One Can A Week? Here’s the deal, this is the very same recipe for the bread and dinner rolls with a few minor changes. This no-fail whole wheat bread recipe can be made by anyone, I promise. Please note, hard red wheat does not have the same taste or texture. If you purchase whole wheat flour in the grocery store it is typically hard red wheat and it is not freshly ground because it’s been sitting on that shelf for who knows how long. I feel like hard red wheat makes what I call BREAD BRICKS. Yep, I was raised on those suckers. They do not taste as good as hard white wheat bread. I’m not saying throw out your red wheat, I’m just glad I don’t have any. I literally dump everything in a bowl and start mixing with a bread mixer, bread machine or by hand. Knead for 10 minutes. You grease your pans and mold your loaves to fit your pans. Cover with a clean wet towel or greased plastic wrap. Let rise until doubled in size. This recipe will make two-1 pound loaves. Let them rise and bake at 350 degrees for about 27-30 minutes. One pound pans are about 4-inches by 7-inches. This recipe makes two medium size loaves. You can always freeze one. 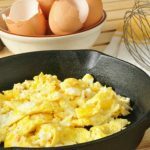 Start adding the ingredients in the order shown above with one exception into your mixing bowl…start with 7 cups of flour and slowly add more flour until the dough pulls away from the sides of the bowl. I use a Bosch Mixer. I grew up making bread without a mixer..it can be done by hand. I grew up letting my bread rise twice so I still do that. Old habits are hard to break! I mix it for 10 minutes in my Bosch. Cover with greased plastic wrap until it doubles in size. Punch down and form dough into eight one-pound loaves or less if your bread pans are larger. I let the dough rise one more time with greased plastic wrap. Bake the bread at 350 degrees for 27-30 minutes. If your pans are larger you will bake your bread longer. You will love making whole wheat bread, I promise!! Combine all of the ingredients in a bowl and whisk until smooth. These take a bit longer to cook because of the whole wheat, but it’s worth it, I promise. These are delicious! Start adding the ingredients in the order shown above with one exception into your mixing bowl…start with 7 cups of flour and slowly add more flour until the dough pulls away from the sides of the bowl. I use a Bosch Mixer. I grew up making bread without a mixer..it can be done by hand. I grew up letting my bread rise twice, so I still do that. I mix it for 10 minutes in my Bosch. Form dough into balls and fill greased cookie sheets or 9 by 13-inch pans. Cover with greased plastic wrap. Let rise again. Remove the plastic wrap. Bake in a preheated oven @350 degrees. Bake about 15-20 minutes. I brush them with butter on the tops after baking. Mix everything in the order shown except the egg whites and optional seeds. Knead for about five minutes in a bread mixer. Let rest for 15 minutes covered. Shape the dough into 2 loaves and place on a greased cookie sheet. Lather the tops of the loaves with the egg whites, cut four to five shallow cuts on top of the loaves. Next, sprinkle with seeds if desired. Let rise one more time about 15 minutes. Preheat the oven to 450 degrees and bake for 15 minutes. Our bread in America has commercial yeast in the soft bread loaves lined up on the supermarket store shelves. I can make natural yeast bread as well. You can make crepes, rolls, muffins and even cakes with natural yeast. We can take my natural yeast in the refrigerator and make pancakes straight from the jar. There are several families that drive 50 miles to come to my home and get my natural yeast starter. They used to have gluten issues and after taking Melissa’s class they tried making bread only using natural yeast. For them, it’s been a blessing. They have very large families and making bread saves them on their grocery bills. If you can learn to grind whole wheat into flour and make bread you can save so much money on your grocery bill. You can also barter a loaf of that bread if we have a grid down. A grid down means we have zero power for the sewer lines, the light switches, our stoves, etc. 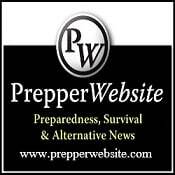 I am not a doomsday prepper, but I do believe people will need to know how to make bread in order to survive an unforeseen disaster or economic collapse of our country. Consider making biscuits, pita bread, or crackers because they fill the belly. There are so many cooking options once you learn to use your wheat. Be creative and try something new, your family will be glad you did. If you don’t have a wheat grinder you can trade your wheat for flour. If you have flour you can make bread and so many other food items to survive. Hopefully, your neighborhood meets together monthly or quarterly to be prepared to share wheat grinders, cooking stoves, tools, solar ovens, butane stoves, first aid kit items, etc. Unfortunately, my neighborhood does not. You can bake your bread in a Camp Chef Oven or a SunOven or even a Dutch Oven if you have propane, charcoal briquettes, or another type of fuel. 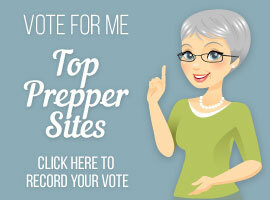 This is why I started my blog, to teach the world to be prepared. 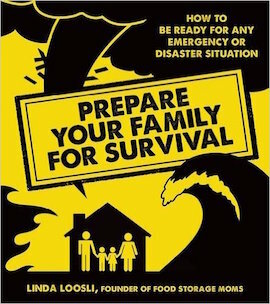 Now my book teaches even more: Prepare Your Family for Survival. My book is available in many stores or online. Get it today, not tomorrow. Please be prepared for the unexpected. 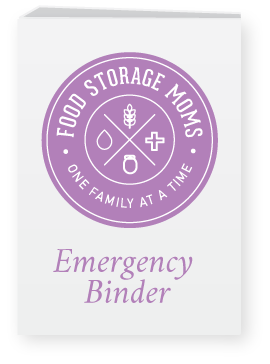 If you are teaching classes on food storage or emergency preparedness this is the only book I know, yes, I’m partial to it, but it does the job. 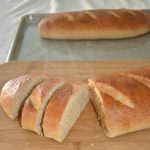 Bread: I’ve added my recipe to make two loaves of whole wheat bread. You do not need an electric bread maker to make bread. Is it easier, yes, but I made bread for years in a large stainless steel bowl. Start with a wheat grinder if you can budget for it. 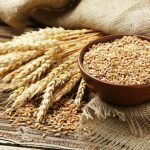 Dear Linda, my husband has celiac disease, so I store rice & cornmeal instead of wheat (he won’t eat oats due to bad reactions to supposedly gluten-free oats). 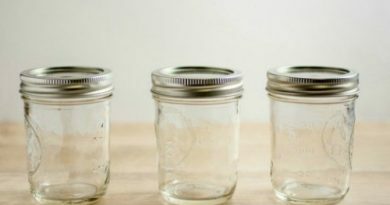 I’m wondering: if I seal gluten-free mixes in jars with my foodsaver, would they last longer? Thanks! My husband is diabetic, and we don’t eat bread, pasta, rice, or potatoes. I’m wondering what I’m going to do with all our food storage…and what I’m going to feed him if we ever need to use it. We are increasing our storage of freeze dried vegetables, meats, etc, because that’s what he eats now. Meat, fish and veg…. 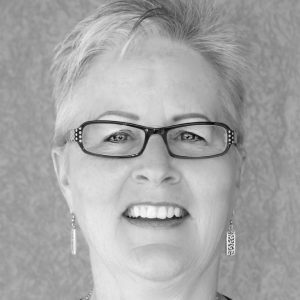 Linda, great article, as usual. I have a question other than storing wheat. Have you ever canned soup? I am making my own soups because of the extremely high sodium content in commercially prepared soups. My blood pressure does not like all of the sodium. But it takes most of the day in a crock pot and not really convenient when I don’t feel like cooking a regular dinner. I do have an electric pressure cooker and I know there are some great recipes for Instant Pot but I have another brand and have not figured out how to use it to make soup. I would like to make several different ones for later. I could freeze them but between the venison and trout in my freezer I do not have room for Rubbermaid containers. Your ideas would be welcome. Hi Linda, I have both a pressure canner and a pressure cooker. The pressure cooker is a Farberware. I am not going to trade up until I master this one, which could be awhile:) I have an old Presto pressure canner that probably needs calibrated. I have canned veggies in it but never soup. I guess until I get the pressure canner looked at, I can make soup and freeze it in freezer bags. I am allergic to gluten/wheat and haven’t eaten wheat in 10 years. I honestly do not see how eating cookies, donuts, pancakes, bread, cinnamon rolls, cakes, crackers, etc can be healthy for anyone? Maybe that’s why there is such an obesity problem in our country, not to mention diabetes from all the simple carbs. 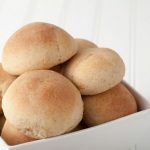 I also don’t think it has to do with the yeast although yeast does seem to bother me when I make gfree rolls. I’ve thought about trying to make the sourdough bread because I’ve heard about it but we are just used to not eating all the bread and carbs. We eat it in moderation but wheat free. Personally we’ve lost weight and keep it off for years, we are 65 and 67 and take no prescription drugs. All since eliminating gluten/wheat. Corn causes me serious joint pain too. When I stop eating it the pain goes away so that’s how I know it’s corn that is causing the issues. Most packaged gfree stuff has corn so I try to avoid it. I’m going to defend carbohydrates here. My youngest brother (rip) had Celiac issues at about age 9. He still needed carbs for energy. My sons, ages 37 and 20, my grandson age 18, still need carbs for energy. This means bread, pasta, rice, potatoes and certain other veggies. Most obesity is from lack of physical activity, tho I think a person’s body can become almost addicted to the ‘high’ from carbs. My 20 yr old is a coach for youngsters at the Y. He needs his carbs but uses a high protein drink mix after each session to replenish him. Maybe a balancing act is needed for most of us? My dad, type 2 diabetes for 20 yrs, said he needed some carbs for energy, but not too much. See, he balanced things. He tried a no carb diet for a month. Said he felt too tired. So he just regulated what he cooked and ate. He died of cancer at age 95, his choice of what meds would be given and those withheld. First withheld was his blood thinner and water pills for 4days, then 5 days no insulin, ( a morphine drip this entire time), day 10 is when he joined the butterflies. Ok, sad story but here’s my point, my dad said he needed carbs to function both physically and mentally. And he balanced them and had a pretty good last 10 years, far longer than his docs thought he had. Wendy that’s a very good point only what I am talking about being not so healthy is all the SUGAR, simple carbs like when people eat cookies, cake, donuts, bread from white flour, etc. Of course anything in moderation! Except no gluten/wheat for me personally in any amount! 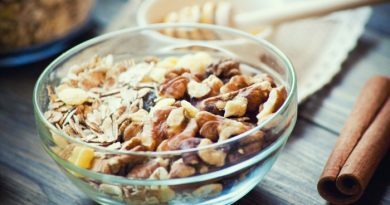 🙂 There are other ways to eat complex carbs like you mentioned. But to each his/her own! Appreciate and value your input!